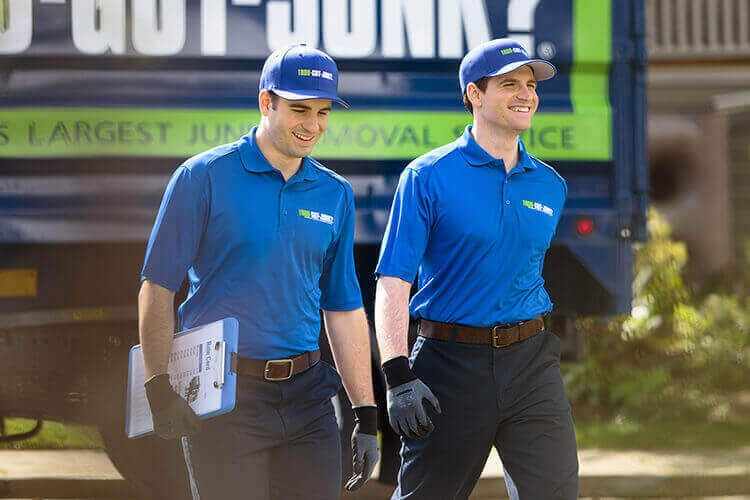 Estate Cleanout Services | 1800-GOT-JUNK? During the difficult and sensitive time when one has to proceed with an estate cleanout, you need a company that will be punctual, patient and respectful while treating you with care. Whenever possible, we will donate as many items as we can to a charity or goodwill. 1800-GOT-JUNK? is the world’s largest and has been the most trusted rubbish removal company since 1989. Simply schedule your estate cleanout appointment online or by calling 1800-468-586. Our friendly, uniformed truck team will call you 15-30 minutes before your scheduled 2-hour arrival window. When we arrive, just point to the items you want removed and we’ll provide you with an up-front, all-inclusive price. Once you say the word, we’ll remove your goods away from wherever they are located and finish by cleaning up the area. Plus, we recycle and donate your items whenever possible.